AdLuge is the leading Agency management software, combining a leading management console with data driven inbound marketing tools. AdLuge has been helping Agencies and Inbound Marketers since 2009. See what other companies are saying about AdLuge. The one thing most companies that use AdLuge have in common is that they depend on data and have a lead generation focus. Account Management Console, Setup Meetings, Communicate, & Review Relationship Metrics + More - all in one place. Cost Per Lead Reporting, Lead Management, Marketing Automation, Landing Page Creation, Recommendation Engine - all in one place. AdLuge was built as an ‘all-in-one’ client management tool for your clients digital management and reporting needs. AdLuge was built to help companies put valuable time into interpreting data rather than gathering it. Learn here about our journey. We are always looking for talented people that love telling a story with data. Check out our careers section for the latest opportunities. For all media inquiries, events or speaking inquiries see this section. We are committed to the growth of the intelligence & automation industry. Chiropractors in North America have one of the most competitive environments when it comes to Search Engine Marketing. Many Chiropractors prefer to target locally, and thus find themselves in competition with the other practitioners in the area. For Search Engine Marketing (SEM), Google Ads is the preferred platform for Chiropractors to do search ads – the ones that appear at the top of search results. Using Google Ads, virtually anyone has the ability to pay for top positions on Google’s search results page! Bing Ads is now quickly growing market share in this industry too. The Chiro industry is unique in that only a small percentage have adopted online marketing into their budget, however it’s quickly becoming a primary source of clients for those who have embraced it. This indicates there is likely tremendous return on investment. Still being a fairly young strategy, there is still an opportunity for a competitive advantage over those who have not taken up online marketing strategies. Through AdLuge, we have been able to use industry average data to help Chiropractors understand what should be expected out of paid search campaigns. The below data represents averages for 13 Chiropractor offices that currently use the AdLuge Marketing Intelligence tool. The following article outlines the average Google Ads paid search metrics from November, 2013. This data has been compared to paid search account data from August, four months earlier. Although many variables can affect each Chiropractors efforts, this information is valuable in helping the chiro industry evaluate the performance of their Google Ads campaigns. Comparing your performance to competitors and others within your industry throughout North America can help determine whether there is need for improvement in your strategy. The average Dentist spent 664.80 in November. This is down from $691.20 in July. This is surprising, as although spend decreased, the conversion count did not change. Typically budgets must increase to compete with competition trying to take up the same ad space. This often results in an increased cost per conversion. When overall spend decreases, it’s common to see conversions drop. In this case, cost per conversion went down and the average amount of patient enquiries remained unchanged! The average Google Ads campaign received 171 clicks in November, down slightly from 193 in August. It is important to note that all Chiropractors measured through AdLuge tracking have a very targeted search marketing strategy. Amount of clicks is not always a true measure of performance, but is often a good reflection of budget. That being said, it is not surprising the clicks decreased considering the average spend decreased during that same time. What is surprising, is that the Cost-Per-Click (CPC) actually went down too. The average CPC went up very slightly from $3.58 to $3.88. Such a small variation is a good indication of a well balanced search marketing campaign. As total budget changes, all other stats remain relative to that change. The average Google Ads search campaign garnered 7.4 form submissions or phone leads during the month of November, surprisingly up slightly from an average of 7 in August. Based on budgets, this means the average Cost-Per-Lead (CPL) was around $89.90 per lead. 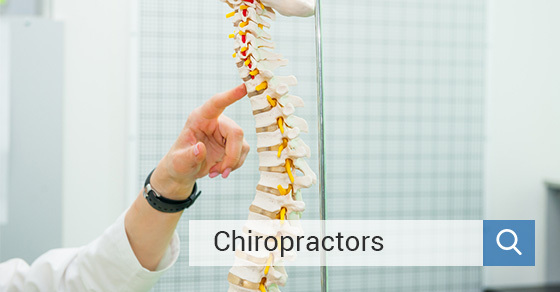 In August, the average Chiropractor saw a Cost-Per-Lead of $98.70. Incredible value is seen in both months but a tremendous cost improvement is seen in November. In this case it’s important to consider how much a lead is actually worth. Spend was reduced this month and a lower Cost-Per-Lead than previous months was achieved. This is a very rare incident, however figuring out the long-term monetary value of a customer will help determine an acceptable CPL threshold. The average impression share for all campaigns was about 48.3% in November. This means that campaigns were only being shown for a little under half the time they could have been. This is sometimes a result of budget restrictions, however it can also be due to increased competition. Impression share was almost 50% in August, at 49.1. Strong competition is often a factor in impression share, as they are competing for the same target audience. In this case it is likely a combination of both competition and decreased budget that saw the drop in impression share for November. Whenever possible, we recommend to do your best to maximize impression share without compromising your Cost-Per-Conversion. This may require some trial and error over a few months! According to AdLuge data, the average Chiropractor received 3 new in-person bookings in November, remaining steady for August. Considering the difference is so subtle over all Chiropractors surveyed, performance month-over-month seems pretty consistent considering the decrease in budget and an increase in competition. Nonetheless, November was still a successful month to all AdLuge users!. What Should Your Next Steps Be? Next month I will be writing an article on average lead trends for Chiropractors across several online mediums. This will help to understand some of the latest tips that other practitioners are employing in order to achieve better conversion performance across all efforts. We’d Love to Show You How AdLuge Can Help You. © 2019 AdLuge. All Rights Reserved.